Lateral file works with the rest of the Lorell Concordia Series to create a collaborative, open-environment work area that promotes interaction while allowing your own private space. Design features two drawers, a central lock, high-quality Latte laminate, four aluminum connections for the 25mm top, a 25mm base, 16mm side and back panels, brushed aluminum handles and adjustable screw-in glides. Central lock secures both drawers. Filing drawers accept legal-size hanging files with tabs. 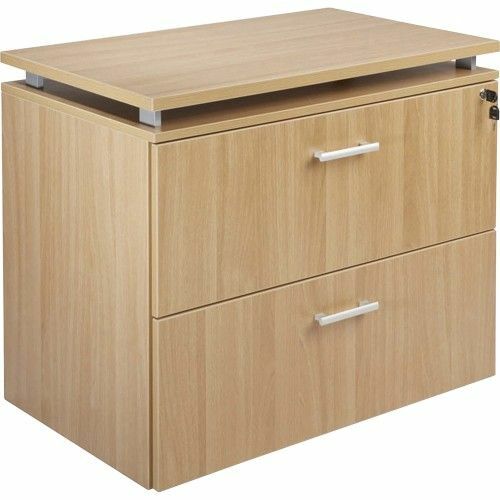 The top is removable so that the lateral file can fit under desks. With such versatility, the Concordia system fosters teamwork and quiet time to focus on individual tasks. Enjoy the flexibility, integration with modern technology and clean design that is the focus of the Concordia series.